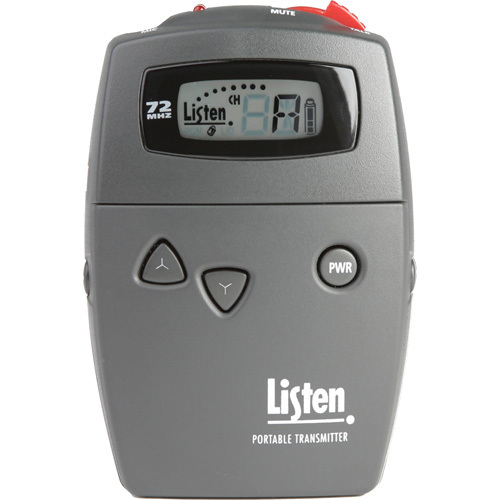 Listen Technologies LT-700-072 Portable Display RF Transmitter is used to wirelessly broadcast audio for a variety of portable applications. Whether its voice or music, you can broadcast your audio to everyone in the audience without having to carry a microphone or be plugged into a wall. The LT-700 is excellent for factory tours, outdoor events, wireless microphone applications, classrooms, training, or personal use - anywhere you need to amplify sound, but don't have (or want) an installed system. With the many features of the LT-700, portable transmission has never been easier for users!